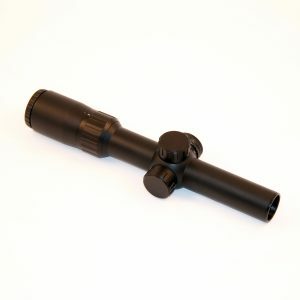 The new Shepherd Scopes BRS Series, Ballistic Rangefinding Scope™, offers the patented Shepherd ballistic drop compensation and rangefinding found in the DRS series, now in a more affordable single reticle FFP package. 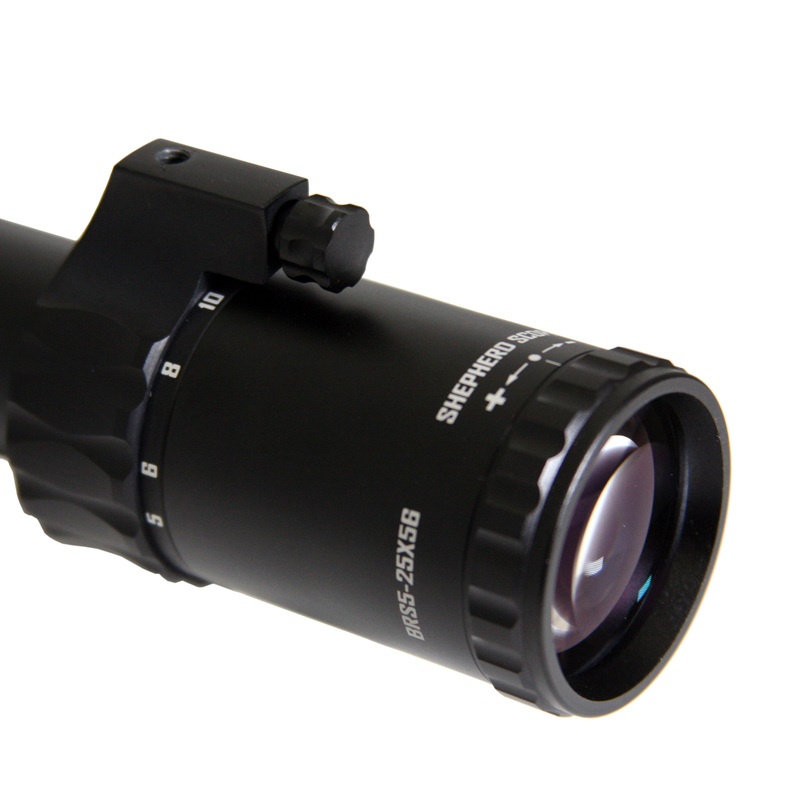 The BRS Series illuminated first-focal-plane reticles give you accurate subtensions across the magnification range while the 1/8 MOA adjustment turrets give you the precision you need to get on target. 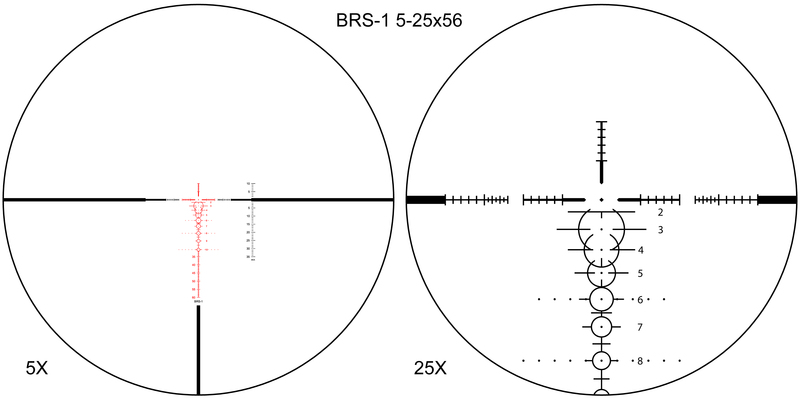 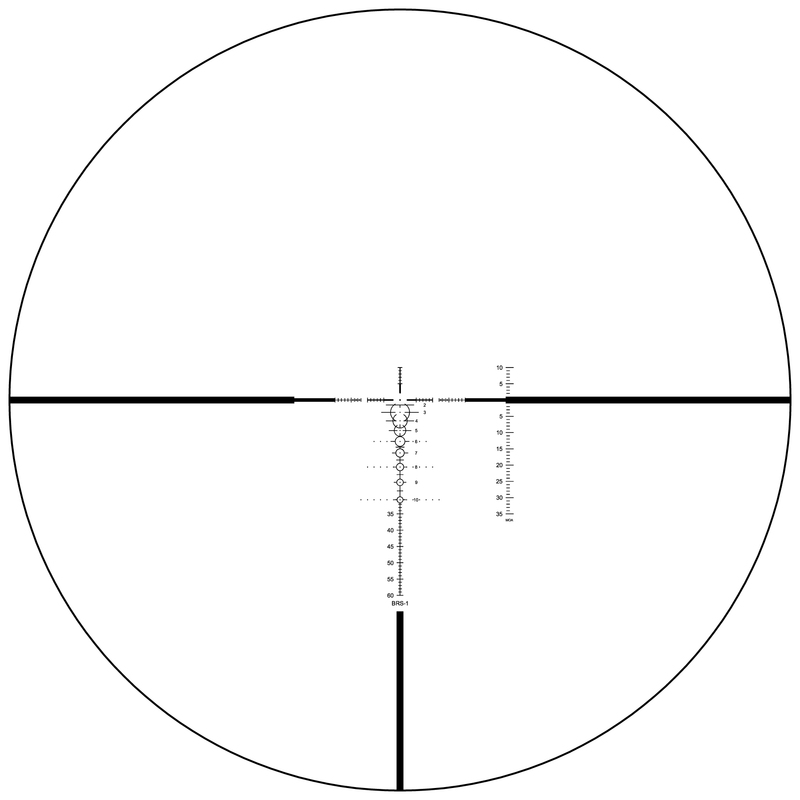 With 18” ranging circles and BDC matched to your rifle (see Shepherd’s Ballistic Calculator) this reticle is designed for everything from stalk and hunt to bench rest precision shooting. 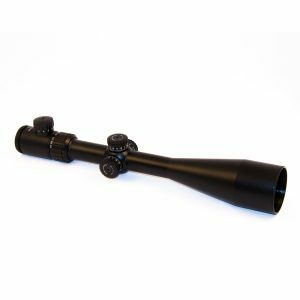 This 5-25×56 FFP scope offers side focus parallax adjustment, locking tactical turrets, an integrated throw lever, and a 34mm aircraft-grade one-piece tube. 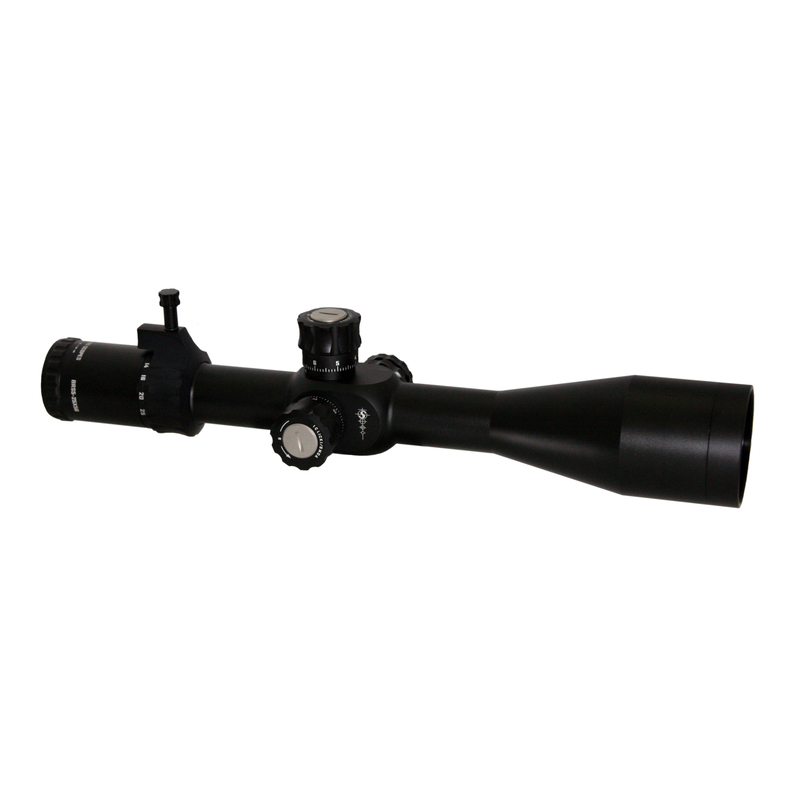 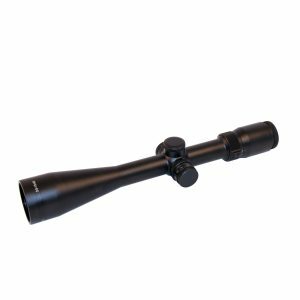 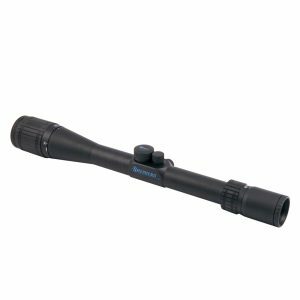 Fully multi-coated, extra-low dispersion glass maximizes resolution and brightness in low-light conditions and the scope is nitrogen filled and o-ring sealed for excellent waterproof, shockproof, and fogproof performance. 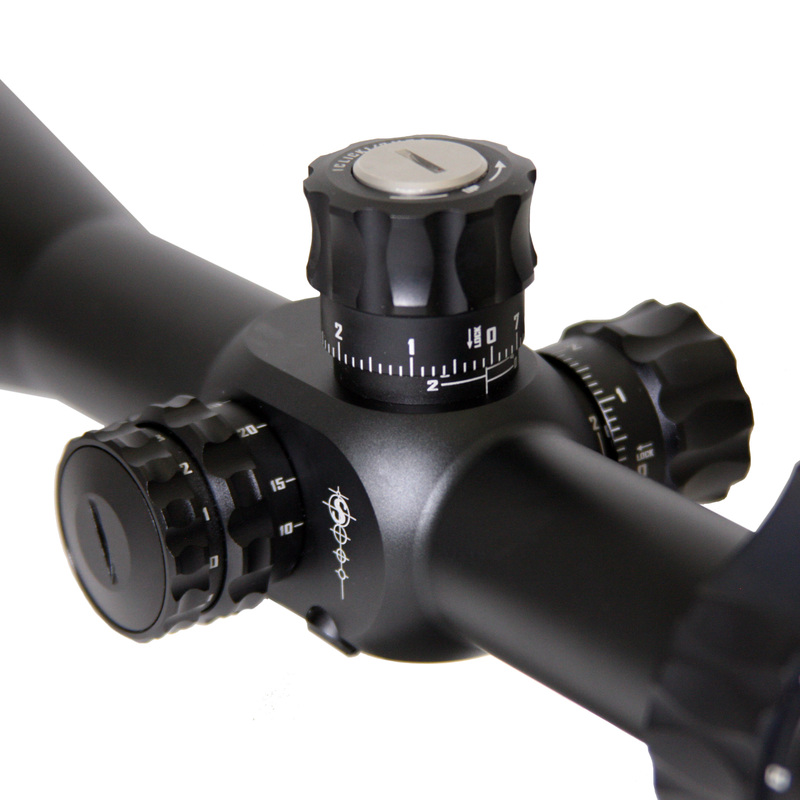 The BRS Series takes our flagship reticle technology and puts it into a high-quality scope everyone can own. 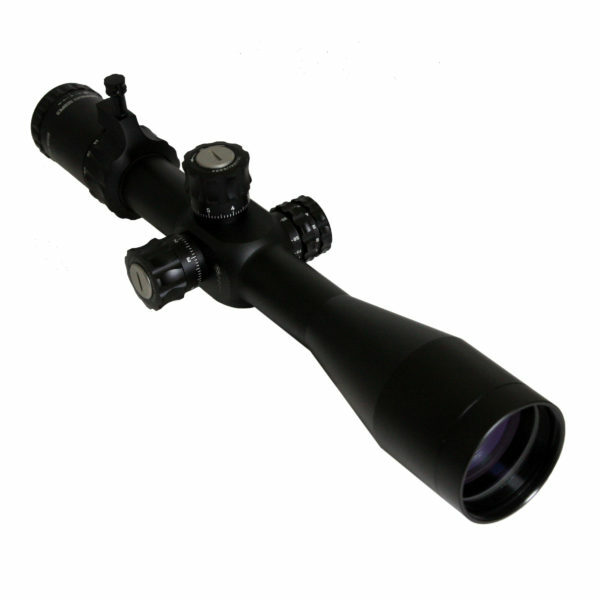 Shoot Farther with the new Shepherd BRS Series!